Every game has rules you won’t find in a book. 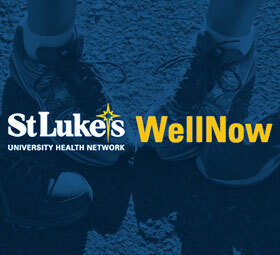 Outdoor activities feature unwritten but generally accepted rules and best practices. These conventions, contained under the catch-all “trail etiquette,” direct traffic on trails, promote cleanliness, and protect the environment. 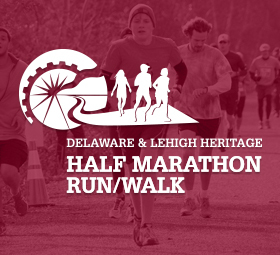 The rules and best practices shared in this post apply to trails within the Delaware & Lehigh National Historic Corridor trail system and those outside it. Below you will find a few generally accepted guidelines for using the trail. Because hikers coming up slopes have the right of way, those descending slopes should step to the side and allow hikers on their way up to pass. Hiking single file is polite, but most people understand when hikers walk next to one another to talk. Try to take up less than half of the trail when hiking in groups. Hikers should refrain from passing others by walking off the trail. This can cause erosion and damage to the natural environment. Since bicycles are more maneuverable on trails, cyclists are usually expected to yield to hikers. However, because they often move faster than hikers, it’s generally easier for hikers to yield to cyclists. Cyclists should never expect hikers to yield to them. Pets are welcome throughout the D&L trail network. Be sure to keep your pets on a leash and under control. Remember to bring bags to collect pet waste. Please obey all signs related to our mules, Hank and George, closer to Hugh Moore Park in Easton. 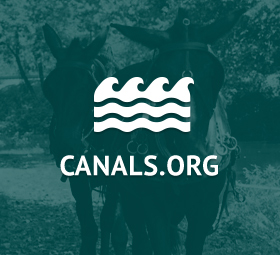 Dogs and bicycles are not permitted on a few sections of the canal near the mules’ workplaces and enclosures. Some trails within the system allow horses, and on these trails, horses get the right of way to both hikers and bikers since they are the least predictable on the trail. Make sure to give horses space when passing, keep your voice low and measured, and avoid sudden movements. Anything that comes to the park with you should also leave with you. This includes biodegradable items such as banana peels and apple cores. Native animals should not eat non-native foods, and decomposing banana peels detract from the natural environment. Visitors should avoid feeding the wildlife—this disrupts their natural foraging habits and can lead to dependence on human food sources. Be sure to greet others on your hike. When in doubt, treat other hikers, bikers, and horses like you would treat the trail—with respect.